GPMA Corporate Members represent companies ranging from the athletic footwear business to the pharmaceutical industry. Funds received through the Corporate Membership Program enable GPMA to enhance services to its members while also providing important information and education to the general public on the vital role podiatric medicine plays in healthcare. This program allows industry to learn the activities of GPMA and work with the podiatric medical profession. Learn more about the GPMA's Corporate Membership Program. Contact Marit Sivertson at [email protected] or 844-GPMA-322 for questions or to become a Corporate Member today! GPMA gratefully acknowledges the companies in our Corporate Membership Program and their commitment to excellence in the podiatric medical community. Bako Diagnostics is a provider of diagnostic and therapeutic services with a unique focus on pathology of the lower extremity. Bako’s comprehensive testing menu includes ENFD Analysis, Mass Spectrometry, for rapid identification of bacteria from culture specimens, and Molecular Genetics for the detection of micro-organisms and as a diagnostic aid in certain pathologic diagnoses. Bako’s in-network services are available through its more than 200 million covered lives, including all five national health plans and fully compliant patient-friendly billing policies. Over the past nine years, Bako has evolved into one of the podiatric profession’s principal sources of educational sponsorship. Bako Diagnostics, your professional partner for disease diagnostics and management! For more information, call us at 855-422-5628 or visit bakodx.com. Everwell Specialty Pharmacy is a unique pharmacy. While we do offer regular prescriptions just like you can get at the big-box pharmacies on every corner, what makes us special is our ability to work with physicians to take on hard-to-treat conditions, create individualized treatments and, in many cases, produce life changing results. Sometimes the one-size-fits-all medication isn’t able to help every patient. After all, every patient is different. We have pharmacists and pharmacy educators that will work with physicians to create individualized solutions in our specialty compounding pharmacy. Our pharmacy has its own lab on the premises. You can walk in our front door and see our lab techs working hard behind the glass to create an innovative difference making treatments for our patients around the country. After patients receive their medication we follow up with them to answer any questions, track progress and make sure we are doing everything in our power for the patient to receive an optimal result. We are a pharmacy who cares about getting the best results for our patients. Founded by podiatrists, for podiatrists, Podiatry Insurance Company of America (PICA) is the nation's leading provider of medical professional liability insurance for podiatric physicians. For over 37 years, we have provided medical professional liability coverage while supporting and enhancing the podiatric profession through sponsorships, risk management seminars and annual scholarships for podiatric medical students, to name a few. We offer a variety of discounts, such as part-time, new practitioner, risk management, non-surgical and leave of absence, other insurance products through ProAssurance Agency, outstanding customer service and expert claims handling with a seasoned team of specifically approved defense counsel. PICA is committed to protecting and supporting podiatric physicians in every aspect of their practices. We’re with you. Every step of the way. PICA is recognized by the GPMA as the exclusive professional liability sponsor of the 22nd Annual Georgia Summit. Arthrex is a global medical device company and leader in new product development and medical education in orthopedics. With a corporate mission of helping surgeons treat their patients better, Arthrex has pioneered the field of arthroscopy and developed more than 11,000 innovative products and surgical procedures to advance minimally invasive orthopedics worldwide. Arthrex continues to experience unprecedented growth and demand for our products throughout the world; however, we remain a privately held company with a family business culture committed to delivering uncompromising quality to the healthcare professionals who use our products, and ultimately, the millions of patients whose lives we impact. We invite you to learn more about Arthrex and the positive contributions we are making to medicine and the communities we serve. Axogen is the leading company focused specifically on the science, development and commercialization of technologies for peripheral nerve regeneration and repair. We are passionate about helping to restore peripheral nerve function and quality of life to patients with physical damage or discontinuity to peripheral nerves by providing innovative, clinically proven and economically effective repair solutions for surgeons and health care providers. Located in Memphis, TN, CrossRoads Extremity Systems designs, manufactures, and markets implant systems for foot and ankle surgery. Our goal is to provide a steady rhythm of novel and clinically relevant new products that distinguish us from other companies. MiMedx® is the global premier processor, marketer, and distributor of human amniotic tissue. MiMedx® has distributed over 1,000,000 amniotic tissue grafts worldwide and achieved profound clinical outcomes in multiple therapeutic areas including ophthalmology, spine, chronic wounds, dental, orthopedic surgery, sports medicine, and urology. With this groundbreaking human tissue offering that promotes bioactive healing, MiMedx® believes its unmatched knowledge and superior processing of amniotic tissue strategically positions the Company to become the leader in regenerative medicine. 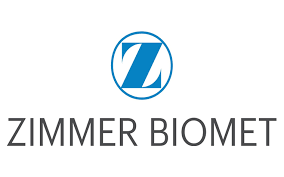 Zimmer Biomet understands the important role that you have in helping patients get back to a possible pain-free life. We make it our mission to help restore mobility, alleviate pain and improve the quality of life for patients around the world by adopting and developing new technologies, by embracing our responsibilities and by always looking to the future for inspiration. We are committed to pursuing new ideas with passion and purpose and remain dedicated to enhancing the science behind, both, products and procedures so you can use your skills and expertise to advance the art of patient care. Known for creating some of the most advanced technologies and for our innovative designs, we are focused on providing you with the latest options in Technology, Plates & Screws, Ankle Reconstruction, Soft Tissue Management and Biologics & Joint Preservation. We are Technology that Moves.